In 2-quart nonmetal freezer container, stir all ingredients except ginger ale until sugar is dissolved. Freeze 4 to 6 hours or until slush consistency. If slush is frozen solid, let stand at room temperature for about 30 minutes before serving. To serve, spoon 1/2 cup slush mixture into each glass. Pour 1/2 cup ginger ale over each. Even when planning a small gathering, it's nice to have dishes that can be made ahead. Include this drink in your menu and you can make it up to 1 week ahead. 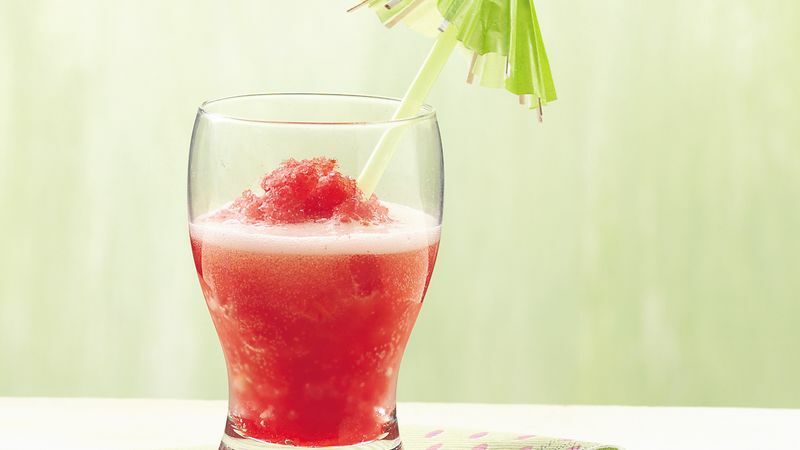 Serve decorative straws with this slush for fun sipping.